Before Passion fur Pets®﻿, Susanne owned and operated the very popular Susanne's Pet Grooming in Upland, California for 21 long & happy years! Her business thrived right up until the day she left to explore new & exciting areas of the grooming world! Our mobile units have been serving the community since 2006. We are a husband & wife team. Each of us works alone, & has our own state of the art mobile pet spa, to ensure each pet gets a personal, one-on-one experience with a knowledgeable groomer. Susanne is a Certified Companion Animal Hygienist and multiple award winning International Certified Master Groomer through International Professional Groomers, Inc. She is also a member in good standing of the National Dog Groomers Association of America. 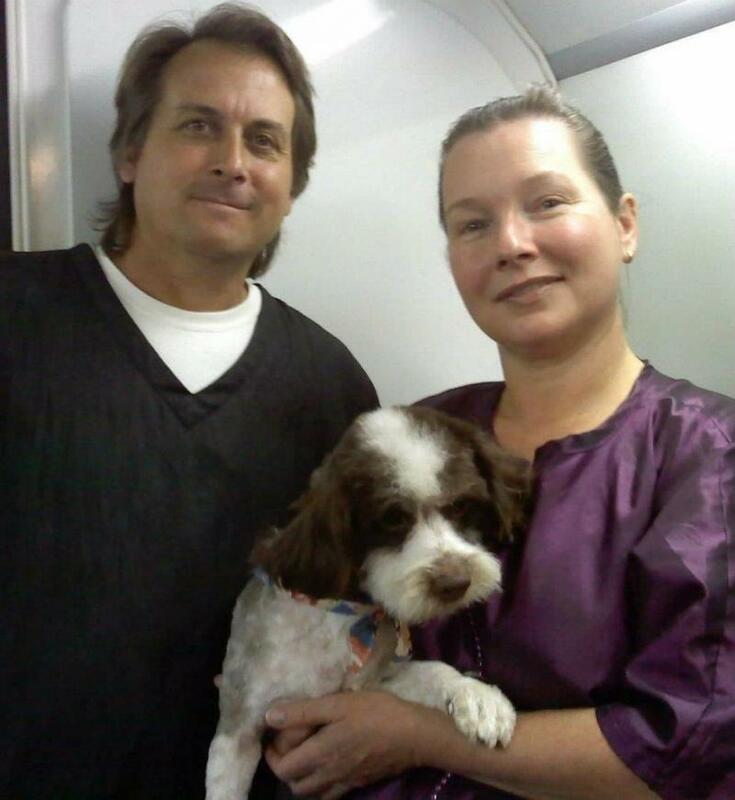 Susanne has been grooming pets in California since 1980. She's so sweet & down-to-earth, a great deal of her clients regularly find themselves inviting her in for lunch, coffee, and a little conversation when she comes to take care of their pets! Already an animal lover at heart, Jim met Susanne in 1994 & has not left the grooming world since! He learned everything he knows under Susanne's careful instruction, and has been grooming steadily since 1996! His clients love him for his punctuality, friendly attitude, and inventive styling! The "Golden Special" is just one of his signature haircuts! Jim does the lion's share of pet care duties in our multi-pet household. He is Susanne's right hand man at dog grooming competitions, in business, and in life, always there to support and lend a helping hand.